The HSLANJ Group Licensing Initiative’s Spring 2018 Offer is available! All medical librarians in the NNLM/MAR, SE/A, and NER are welcome to participate. This is the fourth in a series of articles, highlighting new features, products and collections from vendors. For more information on the HSLANJ GLI, contact Project Manager Robb Mackes (email or 570-856-5952). Deadline to participate is April 27, 2018. 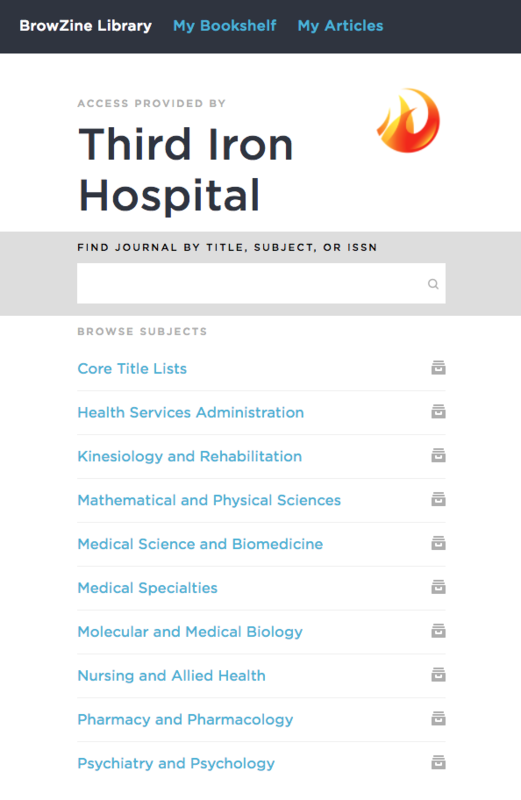 Third Iron, LLC, the developer of BrowZine, has released additional APIs and a new medical taxonomy to enhance serendipity and streamline workflow for physicians, nurses, and medical staff. No longer “just an app,” BrowZine is now the user-facing A-Z list for a growing number of libraries, particularly in the medical field where staying up-to-date with the latest research is crucial. BrowZine makes this easy! 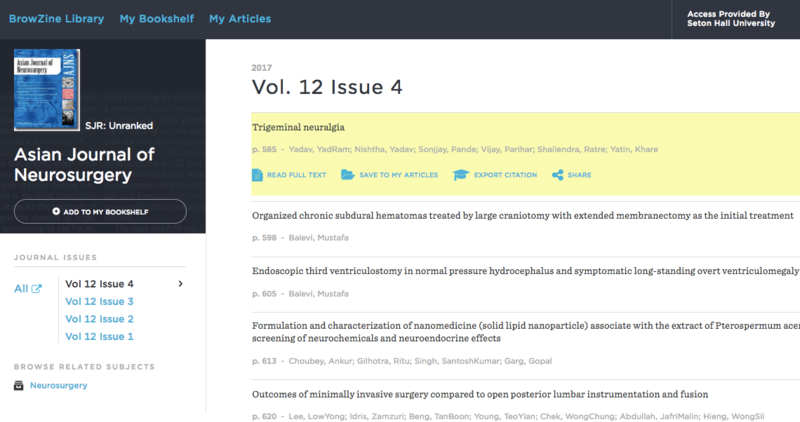 The new APIs offer libraries even more options for integrating BrowZine into the research workflow, bringing much needed serendipity into discovery systems and traditional A-Z lists with instant links to current journal issues and articles-in-context. Organization – Create customized shelves of favorite journals with My Bookshelf to receive automatic notification of new articles, including articles in press, and save articles to My Articles for reading and referencing later. Efficiency – Users consistently report that BrowZine’s ability to save them time cannot be overstated – in just a few minutes, users can grasp the latest research trends across numerous journals, feeling confident that they have not missed an important breakthrough. Mobile Sync – Accounts sync instantly across all devices allowing seamless transitions from tablet to phone to computer. Libraries are making BrowZine the center of the eJournal experience for their patrons, due to the platform’s ease of use, robust journal lookup function, normalization of content, unread article alerting options, and streamlined access across devices. For more information, or to schedule a demo, contact Hayley Harris.